How often do we, as humans, throw up our hands and feel powerless. Frustrated. And trapped. When you go through your life as a victim, life “happens” to you. You have no responsibility for creating your circumstances, instead, others have acted “upon” you and there’s nothing you can do about it. Looking at life through this lens sets us up for hurt, pain, anger, and fear. When is the next shoe going to drop? What horrible thing is going to happen to me next? 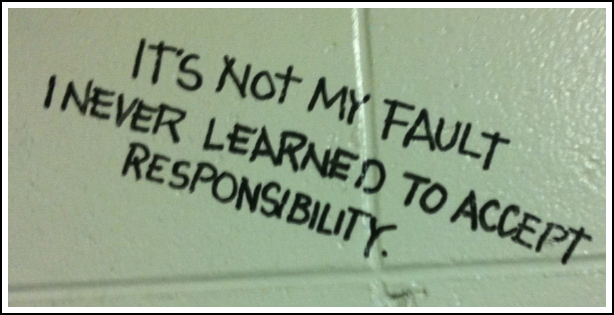 Taking personal responsibility of your life. This means understanding your part in things — how you participated in creating situations or staying in thinking that has caused you suffering (and perhaps still does). Places you compromised your truth for another. Ways that you have let fear run your decision making. Times that you have held onto disempowering beliefs that keep you handicapped from living your best life. If you want to shift from blaming outside events and others for your life, courageously look at your role in the situation. What part did you have in creating it? 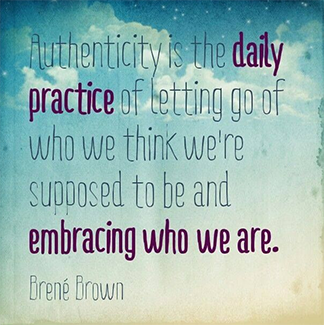 Where did you sublimate your own power? How did you operate from fear? And in situations where you truly were a victim, like childhood abuse for example, in what ways are you hanging on to negative and stifling beliefs about who you are and what you are capable of as a result of it? Acknowledging your part in something and truly taking responsibility for how you’ve been stuck does not mean you are a screw-up. Rather, that there are amazing opportunities for you to learn and grow. The key here is self-compassion – NOT beating yourself up with “I should have known better,” but realizing you are on a human journey here, and this is all a part of your evolvement! Again, if you shift from blaming others to blaming ourselves, you’ve compounded the problem. Then, once you have taken this kind of inventory about the things you are resentful of, you can look at how you will choose to do things differently. How you will not continue to participate complicity in continuing a pattern. And alternate actions you will overtly take to change certain situations you’re facing. And then… allow these convictions to course through your veins! You are now the proactive creative force in your life. As human beings, we always have a choice to “create our own story.” Make yours one of empowerment, that choice is in your hands.